Plymothian Transit: Now where have I seen that before? Fellow Go Ahead Group company Chambers has a new livery - it looks strangely familiar! 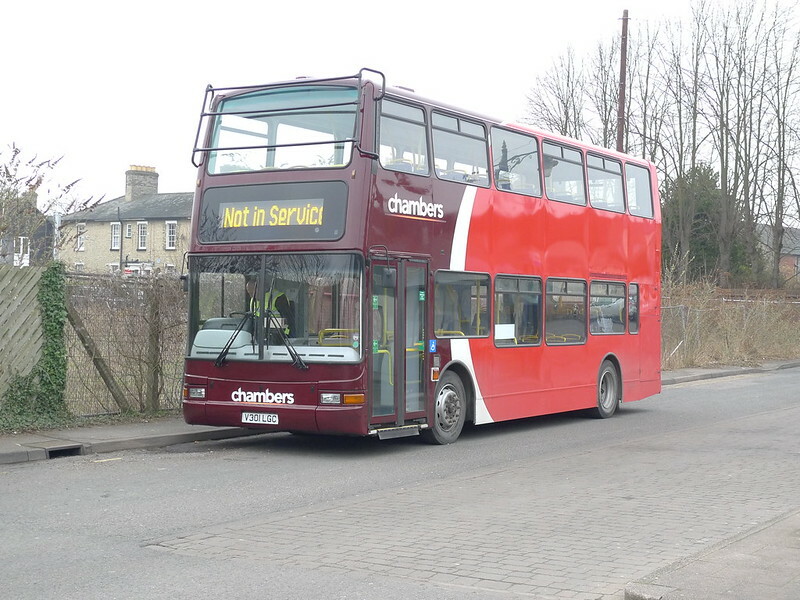 Lets hope Chambers keep it longer then Citybus did! Look at those bull bars. Must have some big, low trees up there! I am sorry but I just have to say this. For me personally the swoop just looks so much better when it is kept clear of the windows as is/was with this livery. Seriously with the swoop again? I think it looks disconnected when it doesn't go over the windows which just looks a bit strange. I'm not the biggest fan of the new livery, but I think it's a marked improvement on the above one which is just far too depressing for my liking. Forget about familiar, that is identical! The older PCB livery as shown above was far superior to the current bland offering. Why did they change it? It was changed I believe due to licensing issues where they had to pay Stenning a lump sum of money for each bus they repainted. I can remember a few people saying I wonder what the swoop would look like if it didn't cover the windows... well here you go! The last two I'd never normally keep due to the bright sun reflection and the rubbish light, though show the problem with the swoop very well - they could do with investing in some stronger glue!! My apologies that this has nothing to do with Chambers new or the old Citybus livery. From tomorrow (as was commented upon recently) Wembury will once again have a Sunday and Public Holidays bus service, extended as previously to Burrator. This is excellent news and many personal thanks to First D&C and the Council’s involved. What strikes me is that this service (apart from an early morning bus, which is not needed) will almost be better than the Monday to Saturday service. What I have also noticed is that around Goosewell and Staddiscombe the 48 will cover a part of the First no 6 and Citybus no 5 and 5A routes. This seems an excellent idea as I have often thought that extending some of these services (say every hour) out to Wembury would be the most cost effective way of providing a service to the community. 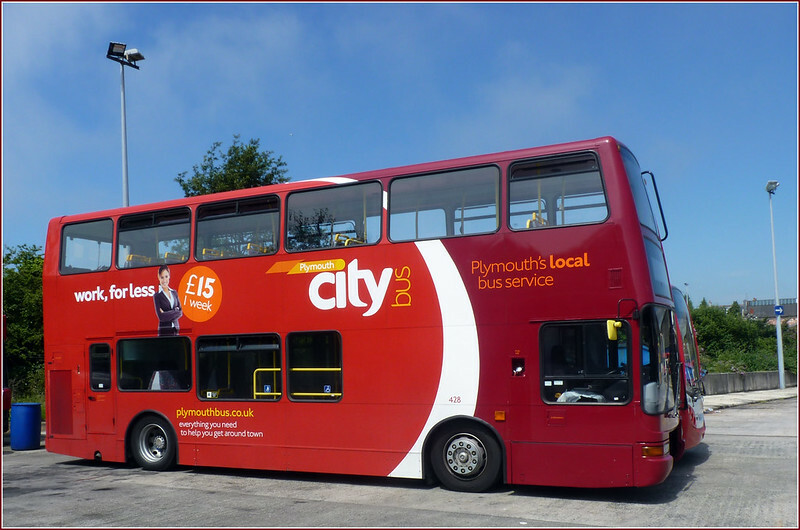 After all it is only a 5 mile or so round trip from the Plymouth City boundary at Crossroads Garage, or less than a gallon of fuel, so well done to First for this new initiative and once again many thanks.